An eye-opening journey through the disasters and triumphs of the nuclear age - and a critical assessment of the nuclear future. Hiroshima. Bikini Atoll. Windscale. Chernobyl. Fukushima. These names no longer denote a place, but a disaster. In a few syllables, they evoke the heights of human ingenuity clashing with the worst of human error. Individually, each place has its own sobering story to tell; together, they form a timeline of the nuclear age. 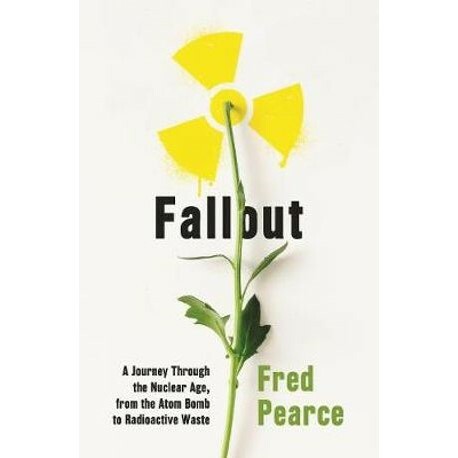 In this compelling and deeply researched book, Fred Pearce investigates the greatest nuclear incidents and accidents of the past 80 years by visiting their now iconic landscapes. He tours former power stations and abandoned testing sites in the company of scientists and engineers, and in previously toxic wastelands, where radioactive wolves now stalk the streets and genetically-malformed flora blooms, he witnesses the surprising resilience of nature. As well as the physical legacy, Pearce also considers the psychological impact of these disasters. Amid rumours of state cover-ups, corporate deception, and hushed-up medical epidemics, Pearce weighs the evidence on either side of the argument to disentangle the facts from the fear. Fred Pearce is an award-winning journalist and author, reporting from 87 countries. He is the environment consultant of New Scientist magazine, a regular broadcaster and contributor to the Guardian, Washington Post and others. He has written fourteen books on environmental and development issues, translated into 24 languages. Fallout is his first book for Portobello.